COSTA MESA — Orange County’s Pacific Symphony will present “Midori and the Planets” from Thursday to Saturday, April 28 to 30, at 8 p.m. at the Renee and Henry Segerstrom Concert Hall, 615 Town Center Dr. in Costa Mesa, as part of the 2015-16 Hal and Jeanette Segerstom Family Foundation Classical Series. The concert will feature Bramwell Tovey, conductor; Midori, violin (whose appearance is sponsored by Tina and Tony Guilder); and Women of Pacific Chorale (John Alexander, artistic director; Robert Istad, associate conductor and chorusmaster). The program consists of “Clair de Lune” by Claude Debussy (1862-1918), arranged by Leopold Stokowski; Concerto in D Major for Violin and Orchestra, Op. 35 by Erich Wolfgang Korngold (1897-1957); and “The Planets” by Gustav Holst (1874-1934). Assistant conductor Roger Kalia will give a preview talk at 7 p.m. Since her debut at the age of 11 with the New York Philharmonic 32 years ago, Midori (www.gotomidori.com) has established a record of achievement that sets her apart as a master musician, an innovator and a champion of the developmental potential of children. Last season she added two new recordings — one of which won a Grammy — to her extensive catalogue of CDs, and in 2013-14, she made two new recordings, one of Bach solo sonatas and partitas and one of the violin concerto DoReMi by Peter Eötvös with the Orchestre Philharmonique de Radio France and the composer conducting. Other notable events in 2013-14 are residencies, the first at Ravinia, where she served as both soloist with the Chicago Symphony and faculty member at the prestigious Steans Institute; the second, at the Lucerne Festival, where she was named Artiste Étoile, played the world premiere of “Oskar” (Towards a Brighter Hue II), a new violin concerto composed for her by Johannes Maria Staud; and the third, a series of concerts at Tokyo’s Suntory Hall, combining recitals of new music and standard repertoire with a special concert for seniors and another featuring four violin concertos in a single program. Recital engagements include Bach solo sonatas and partitas in London and concerts with pianist Özgür Aydin in Paris, Düsseldorf and Tokyo, and she performed in concert with the London Symphony Orchestra, the Russian National Orchestra, the Dresden Staatskapelle and the Schleswig Holstein Festival Orchestra. In 1992 she founded Midori & Friends, a nonprofit organization in New York that brings music education programs to underserved New York City schoolchildren in every borough each year. Two other organizations, Music Sharing, based in Japan, and Partners in Performance, based in the U.S., also bring music closer to the lives of people who may not otherwise have involvement with the arts. Her commitment to community collaboration and outreach is further realized in her Orchestra Residences Program. In 2007, she was named a Messenger of Peace by U.N. Secretary-General Ban Ki-moon. Midori was born in Osaka in 1971 and began studying the violin with her mother, Setsu Goto, at an early age. Zubin Mehta first heard Midori play in 1982 and it was he who invited her to make her now legendary debut at the New York Philharmonic’s traditional New Year’s Eve concert, on which occasion she received a standing ovation and the impetus to begin a major career. 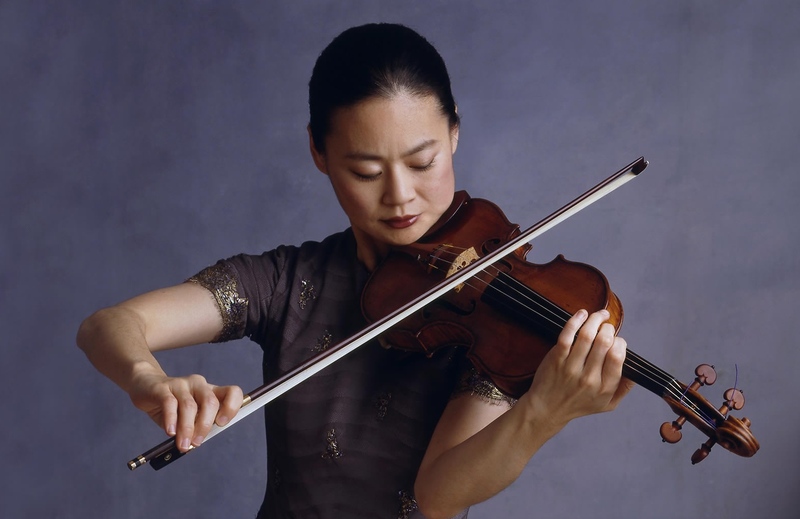 Today Midori lives in Los Angeles, where, in addition to her many commitments, she continues her position as Distinguished Professor of Violin and Jascha Heifetz Chair at the University of Southern California’s Thornton School of Music. Midori’s violin is the 1734 Guarnerius del Gesù “ex-Huberman.” She uses three bows — two by Dominique Peccatte and one by Paul Siefried. Tickets start at $25. For more information, call (714) 755-5799 or visit http://PacificSymphony.org.